TOOTH GERM: Response to recent Guardian Article claiming Homeless people cause NHS missed targets. Response to recent Guardian Article claiming Homeless people cause NHS missed targets. This blog post is a response from a coalition of dentists, charities and homeless organisations..
Commissioning models need to be sufficiently flexible to embrace innovative approaches to providing high quality care to those most at need. 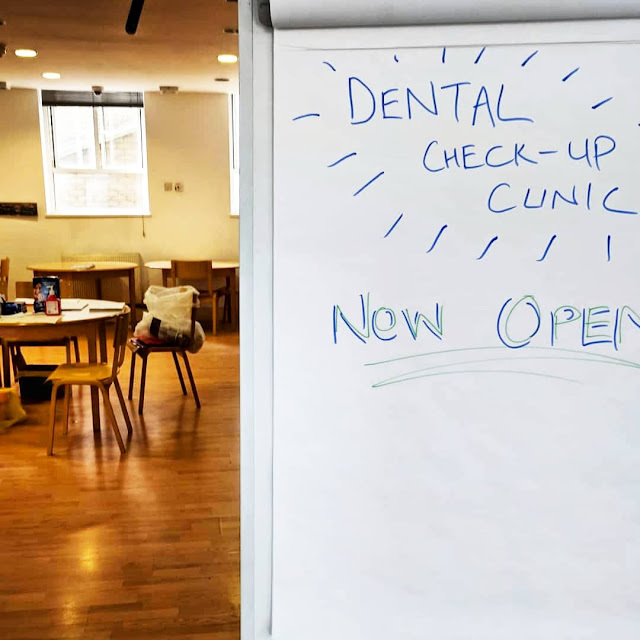 Good examples include Community Dental Services who provide dental care for homeless people at multiple locations across the country (like the service I run in East London). Based in Plymouth, Peninsula Dental School offers free care at four locations, and supports dental students to provide outreach advice at local homeless shelters. Den-Tech provides same-day denture services for people experiencing homelessness. In Manchester, Revive Dental Care offers drop-in clinics for vulnerable people. Dentaid holds free monthly clinics in Southampton and their ‘mobile dental unit’ visits night shelters and soup kitchens around the country. In November, these and many others will meet in Birmingham for the ‘Homeless and Inclusion Oral Health’ conference, organised by homeless health charity Pathway. I will be speaking at the conference. The commitment of these groups is beyond doubt, but their tireless efforts should not give space for government to ignore its responsibility to commission or develop adequate healthcare services. If you would like to contact us, please send your email to: inclusivedentistrygroup@gmail.com. A full list of signatories can be found at here. Please leave your messages of support or comments below to show that there IS hope for homeless people in dentistry!